Released as an accompaniment to ON, a solo exhibition of new work and performance from Derrick Adams, this small run publication features the essay Transmissions and Interruptions by curator Allison Glenn, as well as shots from the exhibition and performance. 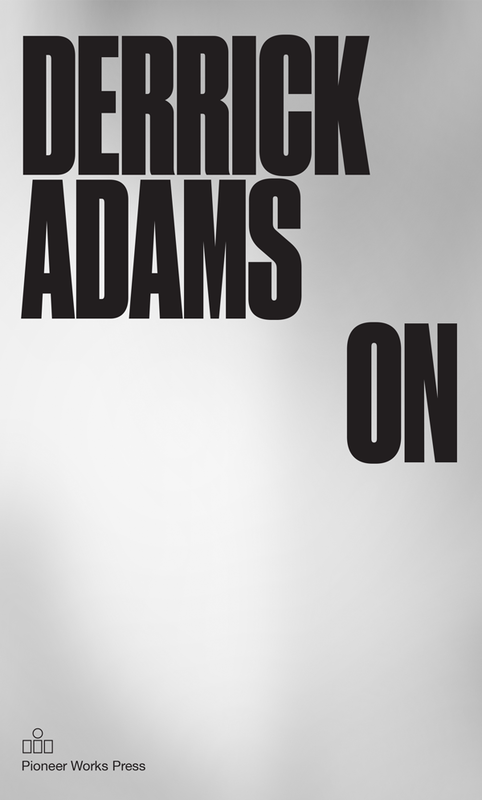 With a Kromekote metallic silver cover and transparent overlays of text from the performance, the publication documents and contextualizes the large-scale, boldly colored mixed-media collages, performances, sound pieces, and illuminated sculptures that continue Adams’ investigation of consumerism and the dramatization of black figures in entertainment and popular culture. Throughout the exhibition, the repeated use of the number nine alludes to the SMPTE color bar image — the most basic indication that the dated medium is switched “on.” The concept of “on” functions as both a technical and performative motif, weaving together Adams’ sculptural, video, and performance practices.